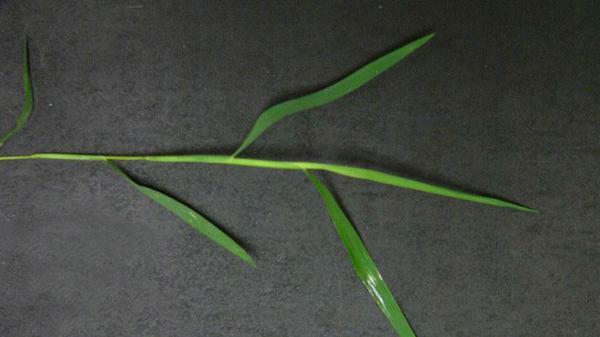 Nimblewill is a dense perennial weed of turfgrass. It is often found at field edges and in forest openings, especially in shaded areas with adequate moisture. Nimblewill grows in a very dense mat, and will root at the nodes. 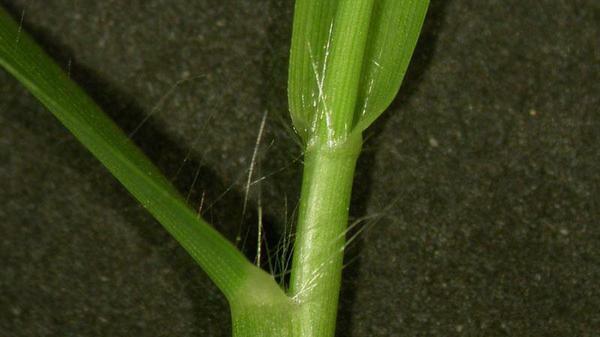 It has very slender, thin leaves, which can be confused with bermudagrass. 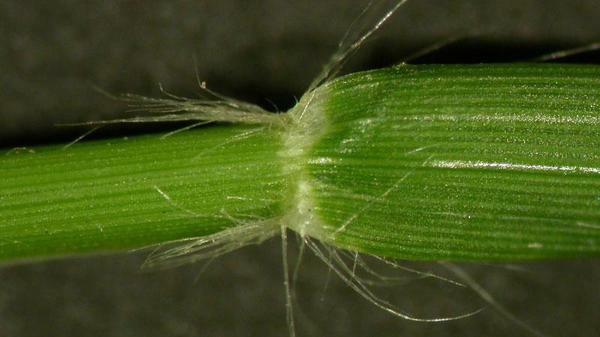 However, nimblewill has a membranous ligule, which can be distinguished from the hairy ligule of bermudagrass. Figure 3. 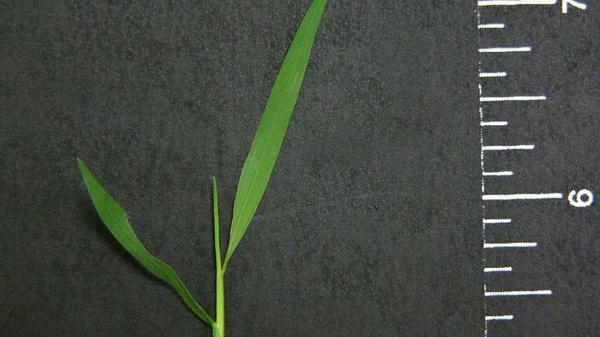 Nimblewill leaf blade. Figure 4. 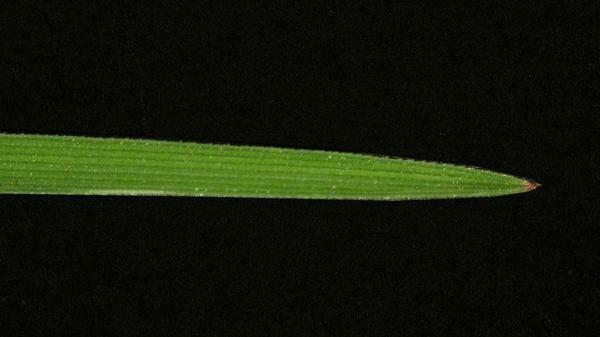 Nimblewill leaf blade. Figure 5. 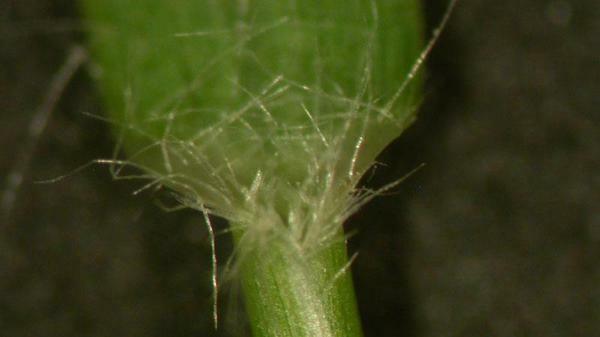 Nimblewill leaf blade. Figure 7. 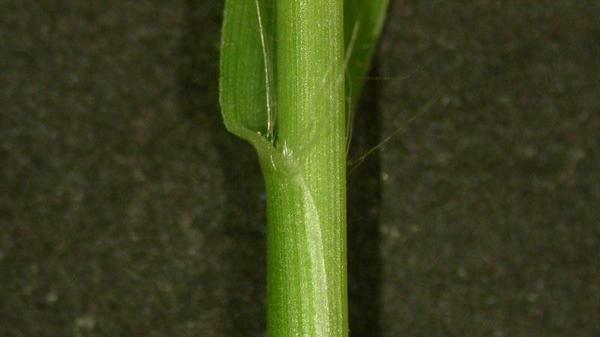 Nimblewill sheath margin.